Pelvic pain can be acute or chronic. Chronic pain is something which persists for a significant period of time. Acute pain is something which happens suddenly and may go away a short period of time with regular home treatment. In cases of chronic pain, pain which lasts for more than six months, it is important to speak with your Seattle pain relief doctor immediately. Female pelvic pain takes place below the belly button and if it persists for more than six months a back pain Seattle doctor should be contacted. The type of pain associated with pelvic pain varies from mild aches which appear intermittently all the way to study and severe work which interfere with daily life. If your doctor can assess the cause of the pain treatment could alleviate any discomfort but if no causes found then treatment must be rendered to help you ease your pain and tolerate it. What are the most common causes of chronic pelvic pain? Scar tissue can form following a surgery or infection in your pelvic area which will lead to regular pain. 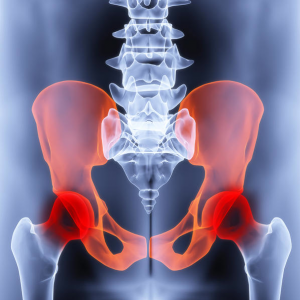 There are a handful of reproductive system problems which can cause pain in the pelvis. There are also diseases of your urinary tract including chronic bladder infection and irritable bowel syndrome which can result in regular pain. Women who experience a history of sexual or physical abuse also suffer from chronic pelvic pain. How is pelvic pain diagnosed? Doctors lack a true understanding of every aspect associated with chronic pelvic pain and in some cases it requires a great deal of testing to properly assess the situation. There are instances where pelvic pain results from an injury and after that injury is treated or healed the nerves continue to send pain signals. This is referred to as neuropathic pain. In some cases neuropathic pain takes place in the pelvis and makes it very difficult for doctors to assess the problem and treat the cause, primarily because the original cost is gone. The type of pain experienced can range and it may or may not be related to menstrual periods. The pain can range from something mild all the way to something severe, from something dull to something sharp, or something that only takes place when you urinate or have a bowel movement. What are the results of chronic pain? Chronic pain, no matter where it takes place can often lead to depression. Depression will cause you to feel hopeless, to move slowly, and to eat and sleep poorly. Female pelvic pain is generally caused by a medical condition related to the reproductive system, the urinary tract, the gastrointestinal tract, or the muscles inside of the abdominal wall. Some of the causes are short-term while others last for a long time in spite of treatment. In some cases many tests are administered to rule out different causes and you know cause is found. In cases like this pain management is the best that doctors can provide for patients.